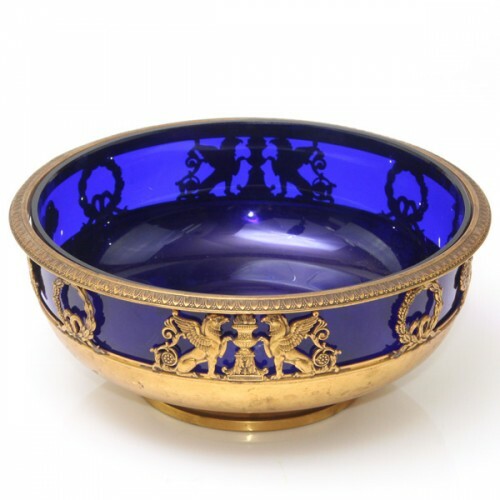 Pasarel - French Empire Gold Plated Metal & Glass Bowl, Victor Saglier For Saglier Freres, Paris, Ca 1900. 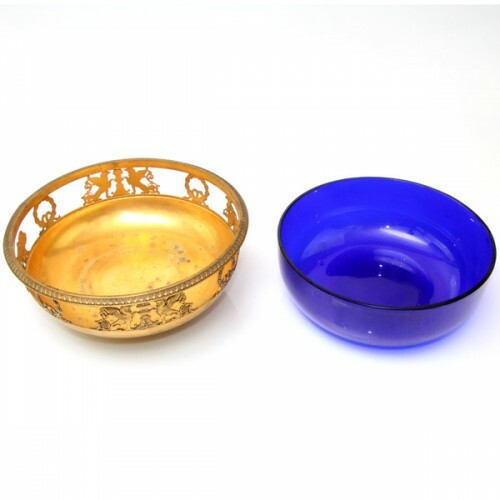 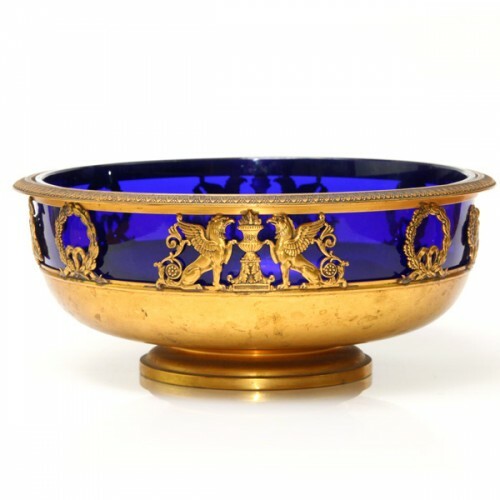 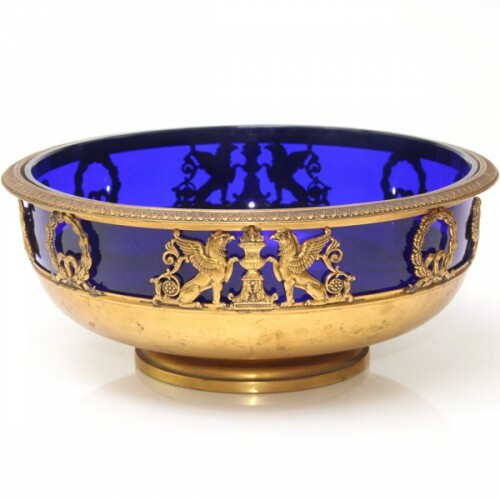 French Empire Gold Plated Metal & Glass Bowl, Victor Saglier For Saglier Freres, Paris, Ca 1900. Of circular form with cherub figures on chariots drawn by lions, laurel wreath, mythological creatures. 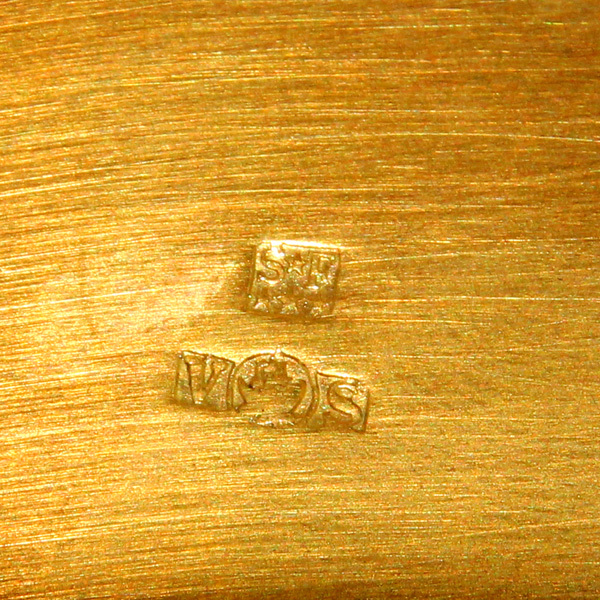 silver plate marks for Victor Saglier of Saglier Freres.